Professor Mark Broom obtained a BA (Hons) in Mathematics from the University of Oxford in 1989, followed by an MSc in Statistics (1990) and a PhD in Mathematics (1993) at the University of Sheffield. He then held a postdoctoral research position again at Sheffield (1993-5) and a temporary lecturing position at the University of Glasgow (1995-6). He joined the University of Sussex as a Lecturer in 1996, where he worked until the end of 2009, most recently as Reader in Mathematics, and he was the Head of the Department of Mathematics from 2007 to 2009. Mark was appointed as Professor of Mathematics at City University in January 2010. In 2013, together with Jan Rychtář, he completed the book Game-Theoretical Models in Biology published by Chapman and Hall. 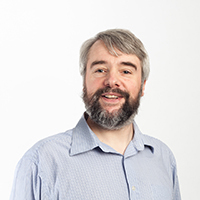 Mark's research interests are in Mathematical Biology, in particular Evolutionary Game Theory. This includes both theoretical work on general games and the modelling of specific animal behaviours. Main research areas include multiplayer game theory, models of food stealing (kleptoparasitism), the signalling behaviour of prey species, and evolutionary processes on graphs. Further information: Date of start 01 Oct 2011. Further information: Date of start 01 Oct 2013. Further information: Date of start 01 Oct 2012. Further information: Date of start 01 Apr 2013. Broom, M. and Křivan, V. (2018). Biology and evolutionary games. Handbook of Dynamic Game Theory (pp. 1039–1077). ISBN 978-3-319-44373-7. Broom, M. (2013). Interactions between searching predators and hidden prey. Search Theory: A Game Theoretic Perspective (pp. 233–248). ISBN 978-1-4614-6824-0. Teichmann, J., Alonso, E. and Broom, M. (2017). Reinforcement Learning as a Model of Aposematism. 13th International Conference on Artificial Evolution, 217-230 October, Paris, France. Teichmann, J., Alonso, E. and Broom, M. (2015). A reward-driven model of Darwinian fitness. Broom, M., Kiss, I. Z, and Rafols, I., (2009). Can epidemic models describe the diffusion of research topics across disciplines? Rio de Janeiro. Broom, M. and Ruxton,G.D., (1999). A game theoretic model of kleptoparasitism. Broom, M., Cannings,C., and Vickers,G.T., (1996). Some examples of multi-player game dynamics. Padova University. Overton, C.E., Broom, M., Hadjichrysanthou, C. and Sharkey, K.J. (2019). Methods for approximating stochastic evolutionary dynamics on graphs. Journal of Theoretical Biology, 468, pp. 45–59. doi:10.1016/j.jtbi.2019.02.009 . Schimit, P.H.T., Pattni, K. and Broom, M. (2019). Dynamics of multiplayer games on complex networks using territorial interactions. Physical Review E, 99(3). doi:10.1103/physreve.99.032306 . Broom, M., Pattni, K. and Rychtář, J. (2018). Generalized Social Dilemmas: The Evolution of Cooperation in Populations with Variable Group Size. Bulletin of Mathematical Biology. doi:10.1007/s11538-018-00545-1 . Argasinski, K. and Broom, M. (2018). Evolutionary stability under limited population growth: Eco-evolutionary feedbacks and replicator dynamics. Ecological Complexity, 34, pp. 198–212. doi:10.1016/j.ecocom.2017.04.002 . Hadjichrysanthou, C., Broom, M. and Rychtář, J. (2018). Models of kleptoparasitism on networks: the effect of population structure on food stealing behaviour. Journal of Mathematical Biology, 76(6), pp. 1465–1488. doi:10.1007/s00285-017-1177-7 . Argasinski, K. and Broom, M. (2018). Interaction rates, vital rates, background fitness and replicator dynamics: how to embed evolutionary game structure into realistic population dynamics. Theory in Biosciences, 137(1), pp. 33–50. doi:10.1007/s12064-017-0257-y . Broom, M., Collins, D., Vu, T.H. and Thomas, P. (2018). The four regions in settlement space: a game-theoretical approach to investment treaty arbitration. Part I: modelling. Law, Probability and Risk, 17(1), pp. 55–78. doi:10.1093/lpr/mgx020 . Broom, M., Collins, D., Vu, T.H. and Thomas, P. (2018). The four regions in settlement space: a game-theoretical approach to investment treaty arbitration. Part II: cases. LAW PROBABILITY & RISK, 17(1), pp. 79–98. doi:10.1093/lpr/mgx019 . Broom, M., Johanis, M. and Rychtar, J. (2018). The effect of fight cost structure on fighting behaviour involving simultaneous decisions and variable investment levels. JOURNAL OF MATHEMATICAL BIOLOGY, 76(1-2), pp. 457–482. doi:10.1007/s00285-017-1149-y . Spencer, R. and Broom, M. (2018). A game-theoretical model of kleptoparasitic behavior in an urban gull (Laridae) population. Behavioral Ecology, 29(1), pp. 60–78. doi:10.1093/beheco/arx125 . Pattni, K., Broom, M. and Rychtář, J. (2018). Evolving multiplayer networks: Modelling the evolution of cooperation in a mobile population. Discrete & Continuous Dynamical Systems - B, 23(5), pp. 1975–2004. doi:10.3934/dcdsb.2018191 . Chawsheen, T.A. and Broom, M. (2017). Seasonal time-series modeling and forecasting of monthly mean temperature for decision making in the Kurdistan Region of Iraq. Journal of Statistical Theory and Practice, 11(4), pp. 604–633. doi:10.1080/15598608.2017.1292484 . Pattni, K., Broom, M. and Rychtář, J. (2017). Evolutionary dynamics and the evolution of multiplayer cooperation in a subdivided population. Journal of Theoretical Biology, 429, pp. 105–115. doi:10.1016/j.jtbi.2017.06.034 . Broom, M. and Cannings, C. (2017). Game theoretical modelling of a dynamically evolving network Ⅰ: General target sequences. Journal of Dynamics & Games, 4(4), pp. 285–318. doi:10.3934/jdg.2017016 . Broom, M. and Rychtar, J. (2016). Evolutionary games with sequential decisions and dollar auctions. Dynamic Games and Applications. Broom, M. and Rychtář, J. (2016). Ideal Cost-Free Distributions in Structured Populations for General Payoff Functions. Dynamic Games and Applications. doi:10.1007/s13235-016-0204-4 . Broom, M. and Rychtář, J. (2016). A model of food stealing with asymmetric information. Ecological Complexity, 26, pp. 137–142. doi:10.1016/j.ecocom.2015.05.001 . Kura, K., Broom, M. and Kandler, A. (2016). A Game-Theoretical Winner and Loser Model of Dominance Hierarchy Formation. Bulletin of Mathematical Biology, 78(6), pp. 1259–1290. doi:10.1007/s11538-016-0186-9 . Broom, M., Rychtář, J. and Spears-Gill, T. (2016). The Game-Theoretical Model of Using Insecticide-Treated Bed-Nets to Fight Malaria. Applied Mathematics, 07(09), pp. 852–860. doi:10.4236/am.2016.79076 . Saber Raza, M. and Broom, M. (2016). Survival analysis modeling with hidden censoring. Journal of Statistical Theory and Practice, 10(2), pp. 375–388. doi:10.1080/15598608.2016.1152205 . Li, A., Broom, M., Du, J. and Wang, L. (2016). Evolutionary dynamics of general group interactions in structured populations. Physical Review E, 93(2). doi:10.1103/PhysRevE.93.022407 . Broom, M. and Rychtář, J. (2016). Nonlinear and multiplayer evolutionary games. , 14, pp. 95–115. doi:10.1007/978-3-319-28014-1_5 . Broom, M., Johanis, M. and Rychtář, J. (2015). The effect of fight cost structure on fighting behaviour. Journal of Mathematical Biology, 71(4), pp. 979–996. doi:10.1007/s00285-014-0848-x . Pattni, K., Broom, M., Rychtáo, J. and Silvers, L.J. (2015). Evolutionary graph theory revisited: When is an evolutionary process equivalent to the Moran process? Proceedings of the Royal Society A: Mathematical, Physical and Engineering Sciences, 471(2182). doi:10.1098/rspa.2015.0334 . Broom, M., Křivan, V. and Riedel, F. (2015). Dynamic Games and Applications: Second Special Issue on Population Games: Introduction. Dynamic Games and Applications, 5(2), pp. 155–156. doi:10.1007/s13235-015-0153-3 . Kura, K., Broom, M. and Kandler, A. (2015). Modelling Dominance Hierarchies Under Winner and Loser Effects. BULLETIN OF MATHEMATICAL BIOLOGY, 77(6), pp. 927–952. doi:10.1007/s11538-015-0070-z . Broom, M. and Cannings, C. (2015). Graphic deviation. Discrete Mathematics, 338(5), pp. 701–711. doi:10.1016/j.disc.2014.12.011 . Broom, M., Lafaye, C., Pattni, K. and Rychtář, J. (2015). A study of the dynamics of multi-player games on small networks using territorial interactions. Journal of Mathematical Biology, 71(6-7), pp. 1551–1574. doi:10.1007/s00285-015-0868-1 . Teichmann, J., Broom, M. and Alonso, E. (2014). The application of temporal difference learning in optimal diet models. J Theor Biol, 340, pp. 11–16. doi:10.1016/j.jtbi.2013.08.036 . Teichmann, J., Broom, M. and Alonso, E. (2014). The evolutionary dynamics of aposematism: A numerical analysis of co-evolution in finite populations. Mathematical Modelling of Natural Phenomena, 9(3), pp. 148–164. doi:10.1051/mmnp/20149310 . Broom, M., Rychtář, J. and Sykes, D. (2014). Kleptoparasitic interactions under asymmetric resource valuation. Mathematical Modelling of Natural Phenomena, 9(3), pp. 138–147. doi:10.1051/mmnp/20149309 . Broom, M. and Rychtář, J. (2014). Asymmetric Games in Monomorphic and Polymorphic Populations. Dynamic Games and Applications, 4(4), pp. 391–406. doi:10.1007/s13235-014-0112-4 . Argasinski, K. and Broom, M. (2013). The nest site lottery: how selectively neutral density dependent growth suppression induces frequency dependent selection. Theor Popul Biol, 90, pp. 82–90. doi:10.1016/j.tpb.2013.09.011 . Broom, M., Rychtář, J. and Sykes, D.G. (2013). The Effect of Information on Payoff in Kleptoparasitic Interactions. Springer Proceedings in Mathematics and Statistics, 64, pp. 125–134. doi:10.1007/978-1-4614-9332-7_13 . Broom, M., Ruxton, G.D. and Schaefer, H.M. (2013). Signal verification can promote reliable signalling. Proc Biol Sci, 280(1771), p. 20131560. doi:10.1098/rspb.2013.1560 . Broom, M. and Cannings, C. (2013). A dynamic network population model with strategic link formation governed by individual preferences. J Theor Biol, 335, pp. 160–168. doi:10.1016/j.jtbi.2013.06.024 . Argasinski, K. and Broom, M. (2013). Ecological theatre and the evolutionary game: how environmental and demographic factors determine payoffs in evolutionary games. J Math Biol, 67(4), pp. 935–962. doi:10.1007/s00285-012-0573-2 . Broom, M., Ruxton, G.D. and Martin Schaefer, H. (2013). Signal verification can promote reliable signaling. Proceedings of the Royal Society B: Biological Sciences, 280(1771). doi:10.1098/rspb.2013.1560 . Broom, M. and Ruxton, G.D. (2013). On the evolutionary stability of zero-cost pooled-equilibrium signals. J Theor Biol, 323, pp. 69–75. doi:10.1016/j.jtbi.2013.01.017 . Broom, M. and Ruxton, G.D. (2012). Perceptual advertisement by the prey of stalking or ambushing predators. J Theor Biol, 315, pp. 9–16. doi:10.1016/j.jtbi.2012.08.026 . Hadjichrysanthou, C., Broom, M. and Kiss, I.Z. (2012). Approximating evolutionary dynamics on networks using a Neighbourhood Configuration model. J Theor Biol, 312, pp. 13–21. doi:10.1016/j.jtbi.2012.07.015 . Broom, M., Hughes, R.N., Burrows, M.T. and Ruxton, G.D. (2012). Evolutionarily stable sexual allocation by both stressed and unstressed potentially simultaneous hermaphrodites within the same population. J Theor Biol, 309, pp. 96–102. doi:10.1016/j.jtbi.2012.06.004 . Hadjichrysanthou, C. and Broom, M. (2012). When should animals share food? Game theory applied to kleptoparasitic populations with food sharing. Behavioral Ecology, 23(5), pp. 977–991. doi:10.1093/beheco/ars061 . Broom, M. and Rychtář, J. (2012). A general framework for analysing multiplayer games in networks using territorial interactions as a case study. Journal of Theoretical Biology, 302, pp. 70–80. doi:10.1016/j.jtbi.2012.02.025 . Barker, H.A., Broom, M. and Rychtář, J. (2012). A game theoretic model of kleptoparasitism with strategic arrivals and departures of beetles at dung pats. Journal of Theoretical Biology, 300, pp. 292–298. doi:10.1016/j.jtbi.2012.01.038 . Broom, M. and Voelkl, B. (2012). Two measures of effective population size for graphs. Evolution, 66(5), pp. 1613–1623. doi:10.1111/j.1558-5646.2011.01528.x . Broom, M. and Ruxton, G.D. (2011). Some mistakes go unpunished: the evolution of "all or nothing" signalling. Evolution, 65(10), pp. 2743–2749. doi:10.1111/j.1558-5646.2011.01377.x . Broom, M., Rychtá, J. and Stadler, B.T. (2011). Evolutionary dynamics on graphs-the effect of graph structure and initial placement on mutant spread. Journal of Statistical Theory and Practice, 5(3), pp. 369–381. doi:10.1080/15598608.2011.10412035 . Hadjichrysanthou, C., Broom, M. and Rychtář, J. (2011). Evolutionary Games on Star Graphs Under Various Updating Rules. Dynamic Games and Applications, 1(3), pp. 386–407. Broom, M. and Rychtář, J. (2011). Kleptoparasitic Melees-Modelling Food Stealing Featuring Contests with Multiple Individuals. Bulletin of Mathematical Biology, 73(3), pp. 683–699. doi:10.1007/s11538-010-9546-z . Broom, M., Crowe, M.L., Fitzgerald, M.R. and Rychtár, J. (2010). The stochastic modelling of kleptoparasitism using a Markov process. J Theor Biol, 264(2), pp. 266–272. doi:10.1016/j.jtbi.2010.01.012 . Broom, M., Hadjichrysanthou, C. and Rychtář, J. (2010). Evolutionary games on graphs and the speed of the evolutionary process. Proceedings of the Royal Society A: Mathematical, Physical and Engineering Sciences, 466(2117), pp. 1327–1346. doi:10.1098/rspa.2009.0487 . Broom, M., Higginson, A.D. and Ruxton, G.D. (2010). Optimal investment across different aspects of anti-predator defences. J Theor Biol, 263(4), pp. 579–586. doi:10.1016/j.jtbi.2010.01.002 . Broom, M., Hadjichrysanthou, C., Rychtář, J. and Stadler, B.T. (2010). Two results on evolutionary processes on general non-directed graphs (Proceedings of the Royal Society). Proceedings of the Royal Society A: Mathematical, Physical and Engineering Sciences, 466(2121), pp. 2795–2798. Kiss, I.Z., Broom, M., Craze, P.G. and Rafols, I. (2010). Can epidemic models describe the diffusion of topics across disciplines? Journal of Informetrics, 4(1), pp. 74–82. Broom, M. and Rychtár, J. (2009). A game theoretical model of kleptoparasitism with incomplete information. J Math Biol, 59(5), pp. 631–649. doi:10.1007/s00285-008-0247-2 . Broom, M., Koenig, A. and Borries, C. (2009). Variation in dominance hierarchies among group-living animals: Modeling stability and the likelihood of coalitions. Behavioral Ecology, 20(4), pp. 844–855. doi:10.1093/beheco/arp069 . Harrison, M.D. and Broom, M. (2009). A game-theoretic model of interspecific brood parasitism with sequential decisions. J Theor Biol, 256(4), pp. 504–517. doi:10.1016/j.jtbi.2008.08.033 . Broom, M. (2009). Balancing risks and rewards: the logic of violence. Front Behav Neurosci, 3, p. 51. doi:10.3389/neuro.08.051.2009 . Ruxton, G.D., Speed, M.P. and Broom, M. (2009). Identifying the ecological conditions that select for intermediate levels of aposematic signalling. Evolutionary Ecology, 23(4), pp. 491–501. doi:10.1007/s10682-008-9247-3 . Broom, M., Rychtar,J., and Stadler,B., (2009). Evolutionary Dynamics on Small-Order Graphs. Journal of Interdisciplinary Mathematics, 12, pp. 129–140. Broom, M., Luther,R.M., and Rychtar,J., (2009). A Hawk-Dove game in kleptoparasitic populations. Journal of Combinatorics, Information and System Sciences, 4, pp. 449–462. Broom, M., Luther, R.M., Ruxton, G.D. and Rychtár, J. (2008). A game-theoretic model of kleptoparasitic behavior in polymorphic populations. J Theor Biol, 255(1), pp. 81–91. doi:10.1016/j.jtbi.2008.08.001 . Broom, M., Ruxton, G.D. and Kilner, R.M. (2008). Host life-history strategies and the evolution of chick-killing by brood parasitic offspring. Behavioral Ecology, 19(1), pp. 22–34. doi:10.1093/beheco/arm096 . Broom, M. and Rychta r, J. (2008). An analysis of the fixation probability of a mutant on special classes of non-directed graphs. Proceedings of the Royal Society A: Mathematical, Physical and Engineering Sciences, 464(2098), pp. 2609–2627. Broom, M., Rychtar,J., and Sykes,C., (2008). The Evolution of Kleptoparasitism under Adaptive Dynamics Without Restriction. Journal of Interdisciplinary Mathematics, 11, pp. 479–494. Langridge, K.V., Broom, M. and Osorio, D. (2007). Selective signalling by cuttlefish to predators. Current Biology, 17(24). doi:10.1016/j.cub.2007.10.028 . Yates, G.E. and Broom, M. (2007). Stochastic models of kleptoparasitism. J Theor Biol, 248(3), pp. 480–489. doi:10.1016/j.jtbi.2007.05.007 . Broom, M., Nouvellet, P., Bacon, J.P. and Waxman, D. (2007). Parameter-free testing of the shape of a probability distribution. Biosystems, 90(2), pp. 509–515. doi:10.1016/j.biosystems.2006.12.002 . Ruxton, G.D., Speed, M.P. and Broom, M. (2007). The importance of initial protection of conspicuous mutants for the coevolution of defense and aposematic signaling of the defense: a modeling study. Evolution, 61(9), pp. 2165–2174. doi:10.1111/j.1558-5646.2007.00185.x . Luther, R.M., Broom, M. and Ruxton, G.D. (2007). Is food worth fighting for? ESS's in mixed populations of Kleptoparasites and Foragers. Bull Math Biol, 69(4), pp. 1121–1146. doi:10.1007/s11538-005-9052-x . Ellis, J.J., Broom, M. and Jones, S. (2007). Protein-RNA interactions: structural analysis and functional classes. Proteins, 66(4), pp. 903–911. doi:10.1002/prot.21211 . Broom, M. and Rychtár, J. (2007). The evolution of a kleptoparasitic system under adaptive dynamics. J Math Biol, 54(2), pp. 151–177. doi:10.1007/s00285-006-0005-2 . Broom, M., Speed, M.P. and Ruxton, G.D. (2006). Evolutionarily stable defence and signalling of that defence. J Theor Biol, 242(1), pp. 32–43. doi:10.1016/j.jtbi.2006.01.032 . Jackson, A.L., Beauchamp, G., Broom, M. and Ruxton, G.D. (2006). Evolution of anti-predator traits in response to a flexible targeting strategy by predator. Proceedings of the Royal Society B: Biological Sciences, 273(1590), pp. 1055–1062. doi:10.1098/rspb.2005.3421 . Speed, M.P., Ruxton, G.D. and Broom, M. (2006). Automimicry and the evolution of discrete prey defences. Biological Journal of the Linnean Society, 87(3), pp. 393–402. doi:10.1111/j.1095-8312.2006.00577.x . Proctor, C.J., Broom, M. and Ruxton, G.D. (2006). Antipredator vigilance in birds: modelling the 'edge' effect. Math Biosci, 199(1), pp. 79–96. doi:10.1016/j.mbs.2005.05.002 . Broom, M., Fraser,C.P, and Ruxton,G.D., (2006). Public information and patch estimation for group foragers: a re-evaluation of patch quitting strategies in a patchy environment. OIKOS, 112, pp. 311–321. Broom, M. (2006). Computational Genome Analysis: an Introduction by R. C. Deonier, S. Tavaré and M. S. Waterman. Journal of the Royal Statistical Society: Series A (Statistics in Society), 169(4), pp. 1006–1007. Yates, G.E. and Broom, M. (2005). A stochastic model of the distribution of unequal competitors between resource patches. J Theor Biol, 237(3), pp. 227–237. doi:10.1016/j.jtbi.2005.04.010 . Broom, M. and Ruxton, G.D. (2005). You can run - Or you can hide: Optimal strategies for cryptic prey against pursuit predators. Behavioral Ecology, 16(3), pp. 534–540. doi:10.1093/beheco/ari024 . Broom, M. (2005). Evolutionary games with variable payoffs. C R Biol, 328(4), pp. 403–412. Broom, M., Speed, M.P. and Ruxton, G.D. (2005). Evolutionarily stable investment in secondary defences. Functional Ecology, 19(5), pp. 836–843. Ruxton, G.D., Fraser, C. and Broom, M. (2005). An evolutionarily stable joining policy for group foragers. Behavioral Ecology, 16(5), pp. 856–864. Broom, M. and Ruxton,G.D., (2005). You can run or you can hide: optimal strategies for cryptic prey against pursuit predators. Behavioral Ecology, 16, pp. 534–540. Broom, M., Borries, C. and Koenig, A. (2004). Infanticide and infant defence by males--modelling the conditions in primate multi-male groups. J Theor Biol, 231(2), pp. 261–270. doi:10.1016/j.jtbi.2004.07.001 . Broom, M., Luther, R.M. and Ruxton, G.D. (2004). Resistance is useless?--Extensions to the game theory of kleptoparasitism. Bull Math Biol, 66(6), pp. 1645–1658. doi:10.1016/j.bulm.2004.03.009 . Broom, M. and Ruxton, G.D. (2004). A framework for modelling and analysing conspecific brood parasitism. J Math Biol, 48(5), pp. 529–544. doi:10.1007/s00285-003-0244-4 . Luther, R.M. and Broom, M. (2004). Rapid convergence to an equilibrium state in kleptoparasitic populations. J Math Biol, 48(3), pp. 325–339. doi:10.1007/s00285-003-0237-3 . Broom, M., Tang, Q. and Waxman, D. (2003). Mathematical analysis of a model describing evolution of an asexual population in a changing environment. Math Biosci, 186(1), pp. 93–108. Broom, M. and Ruxton, G.D. (2003). Evolutionarily stable kleptoparasitism: Consequences of different prey types. Behavioral Ecology, 14(1), pp. 23–33. doi:10.1093/beheco/14.1.23 . Proctor, C.J., Broom, M. and Ruxton, G.D. (2003). A communication-based spatial model of antipredator vigilance. Journal of Theoretical Biology, 220(1), pp. 123–137. doi:10.1006/jtbi.2003.3159 . Broom, M. (2003). The use of multiplayer game theory in the modeling of biological populations. Comments on Theoretical Biology, 8, pp. 103–123. Broom, M. and Cannings, C. (2002). Modelling dominance hierarchy formation as a multi-player game. J Theor Biol, 219(3), pp. 397–413. Ward, A.J.W., Botham, M.S., Hoare, D.J., James, R., Broom, M., Godin, J.G.J. … Krause, J. (2002). Association patterns and shoal fidelity in the three-spined stickleback. Proceedings of the Royal Society B: Biological Sciences, 269(1508), pp. 2451–2455. doi:10.1098/rspb.2002.2169 . Broom, M. (2002). A unified model of dominance hierarchy formation and maintenance. J Theor Biol, 219(1), pp. 63–72. Ruxton, G.D. and Broom, M. (2002). Intraspecific brood parasitism can increase the number of eggs that an individual lays in its own nest. Proc Biol Sci, 269(1504), pp. 1989–1992. doi:10.1098/rspb.2002.2125 . Broom, M. and Ruxton, G.D. (2002). A game theoretical approach to conspecific brood parasitism. Behavioral Ecology, 13(3), pp. 321–327. Ward, A.J.W., Hoare, D.J., Couzin, I.D., Broom, M. and Krause, J. (2002). The effects of parasitism and body length on positioning within wild fish shoals. Journal of Animal Ecology, 71(1), pp. 10–14. Broom, M. (2002). Using game theory to model the evolution of information: An illustrative game. Entropy, 4(2), pp. 35–46. doi:10.3390/e4020035 . Broom, M. and Ruxton, G.D. (2001). A model of dominance and resource division among a group of animals of differing quality. Population Ecology, 43(3), pp. 213–220. doi:10.1007/s10144-001-8185-5 . Proctor, C.J., Broom, M. and Ruxton, G.D. (2001). Modelling antipredator vigilance and flight response in group foragers when warning signals are ambiguous. Journal of Theoretical Biology, 211(4), pp. 409–417. doi:10.1006/jtbi.2001.2353 . Ruxton, G.D., Broom, M. and Colegrave, N. (2001). Are unusually colored eggs a signal to potential conspecific brood parasites? Am Nat, 157(4), pp. 451–458. doi:10.1086/319319 . Broom, M., Cannings, C. and Vickers, G.T. (2000). A sequential-arrivals model of territory acquisition II. J Theor Biol, 207(3), pp. 389–403. doi:10.1006/jtbi.2000.2187 . Broom, M. (2000). Bounds on the number of ESSs of a matrix game. Math Biosci, 167(2), pp. 163–175. Broom, M., Cannings, C. and Vickers, G.T. (2000). Evolution in knockout conflicts: the fixed strategy case. Bull Math Biol, 62(3), pp. 451–466. doi:10.1006/bulm.1999.0161 . Broom, M. (2000). Patterns of evolutionarily stable strategies: the maximal pattern conjecture revisited. J Math Biol, 40(5), pp. 406–412. Proctor, C.J. and Broom, M. (2000). A spatial model of antipredator vigilance. IMA J Math Appl Med Biol, 17(1), pp. 75–93. Broom, M., Cannings,C., and Vickers,G.T., (2000). Evolution in Knockout Contests: the Variable Strategy Case. Selection, 1, pp. 5–21. Ruxton, G.D. and Broom, M. (1999). Evolution of kleptoparasitism as a war of attrition. Journal of Evolutionary Biology, 12(4), pp. 755–759. doi:10.1046/j.1420-9101.1999.00078.x . Broom, M. and Ruxton, G.D. (1998). Modelling responses in vigilance rates to arrivals to and departures from a group of foragers. IMA Journal of Mathemathics Applied in Medicine and Biology, 15(4), pp. 387–400. Broom, M. and Ruxton, G.D. (1998). Evolutionarily stable stealing: Game theory applied to kleptoparasitism. Behavioral Ecology, 9(4), pp. 397–403. doi:10.1093/beheco/9.4.397 . Broom, M., Cannings, C. and Vickers, G.T. (1997). A sequential-arrivals model of territory acquisition. J Theor Biol, 189(3), pp. 257–272. doi:10.1006/jtbi.1997.0519 . Broom, M., Cannings, C. and Vickers, G.T. (1997). Multi-player matrix games. Bulletin of Mathematical Biology, 59(5), pp. 931–952. doi:10.1007/BF02460000 . Broom, M., Cannings, C. and Vickers, G.T. (1996). ESS patterns: adding pairs to an ESS. Math Biosci, 136(1), pp. 21–33. Broom, M., Cannings, C. and Vickers, G.T. (1996). Choosing a nest site: Contests and catalysts. American Naturalist, 147(6), pp. 1108–1114. doi:10.1086/285897 . ESS's. Journal of Mathematical Biology, 32, pp. 579–615. Broom, M., Cannings, C. and Vickers, G.T. (1994). Sequential methods for generating patterns of ESS's. Journal of Mathematical Biology, 32(6), pp. 597–615. doi:10.1007/BF00573463 . Broom, M., Cannings,C, and Vickers,G.T., (1993). On the number of local maxima of a constrained quadratic form. Proceedings of the Royal Society of London, A 443, pp. 573–584.